The Brotherhood hosted a breakfast event Saturday, Feb 24th. 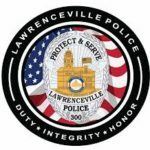 The highlight of the event was a presentation and discussion led by members of the Lawrenceville Police Department. The three officers pictured, from left to right, are: Crime Suppression Unit Sgt C. Ralston, Patrol Sgt T. Quimby, and Field Training Officer C. Carey. 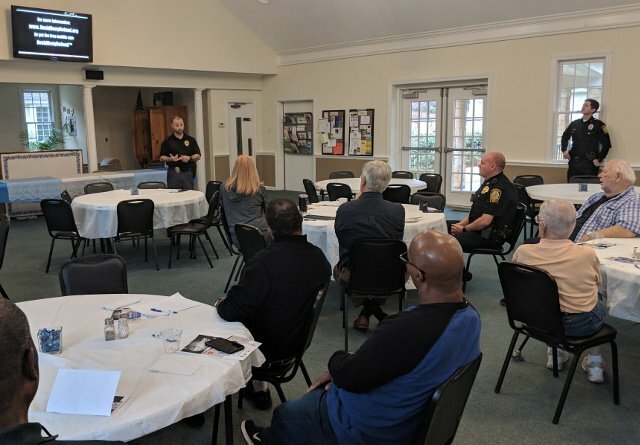 Officer Carey, kicked off the meeting with introductions and a description of the venue, including various programs conducted by the Lawrenceville Police Department. Sergeant Ralston then led a presentation on a program developed by Texas State University titled Avoid | Deny | Defend. This program is used to train law enforcement officers across the nation on how to rapidly respond to dangerous active threat situation. The presentation was fascinating, enlightening and well received. After the presentation, the three officers spent over an hour answering questions and sharing experiences. With out a doubt, this was a Saturday morning well spent! 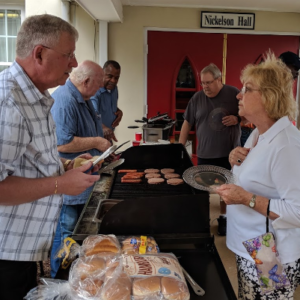 The Brotherhood hopes to host similar programs in the future. We’ll be sure to let you know the next one and hope you’ll be there! Our Brotherhood has been busy! On February 9th, an annual re-commissioning ceremony was held at the 10:30 service. Darcey Tatum gave an announcement at both morning services, describing what the Brotherhood of St. Andrew is and inviting men to join us. After the services, brochures were distributed. 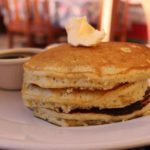 The Brotherhood is hosting a breakfast on Saturday, February 23rd. All parishioners are invited and our guests of honor will be representatives from the Lawrenceville Police Department. Officers will offer advice on safety and security best practices. 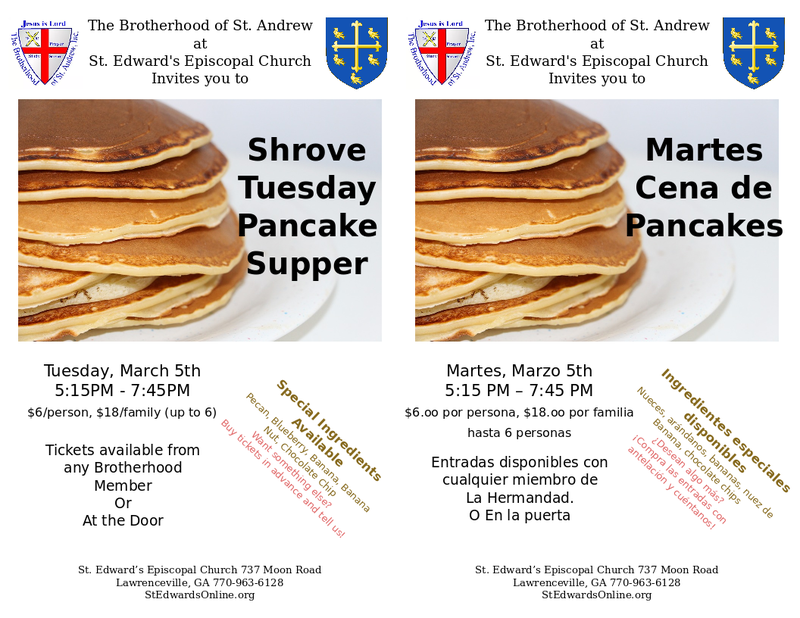 Preparations are underway for our annual Shrove Tuesday Pancake Supper. Ladies and Gentlemen are all invited! Please RSVP to darceyandcarole@bellsouth.net to insure breakfast and material handouts for this important meeting. 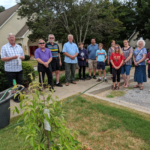 The Brotherhood of St. Andrew sponsored a tree planting ceremony along with a scavenger hunt and a cookout. Everyone had a great time! Richard Doscher gave a beautiful dedication. 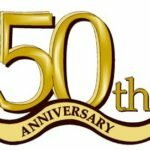 Our Brotherhood of St. Andrews chapter will sponsor tree planting and scavenger hunt event in celebration of St. Edward’s celebrating our 50th anniversary this year. Save the Date! Join the Fun! 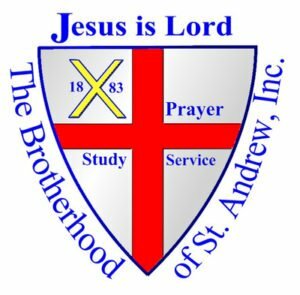 The St. Edward’s chapter of the Brotherhood of St. Andrew welcomes you and invites you to join us! Our meetings start with breakfast and socializing followed by reading and discussion of the week’s scripture. We wrap up with the business meeting.